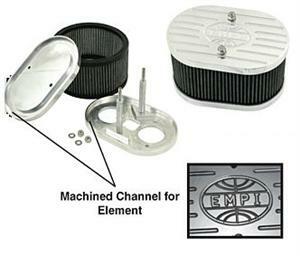 Billet Tall and Short Air Cleaner Assemblies for IDF, HPMX and DRLA. These filters come 7" x 4 1/2" x 3 1/2" and 7" x 4 1/2" x 6" . Replacement filters also available for these assemblies. These filters are sold each and not pairs. Order 2x for Dual Carbs. Click options tab to choose yours.